We have officially completed (slightly more than) half of the year! 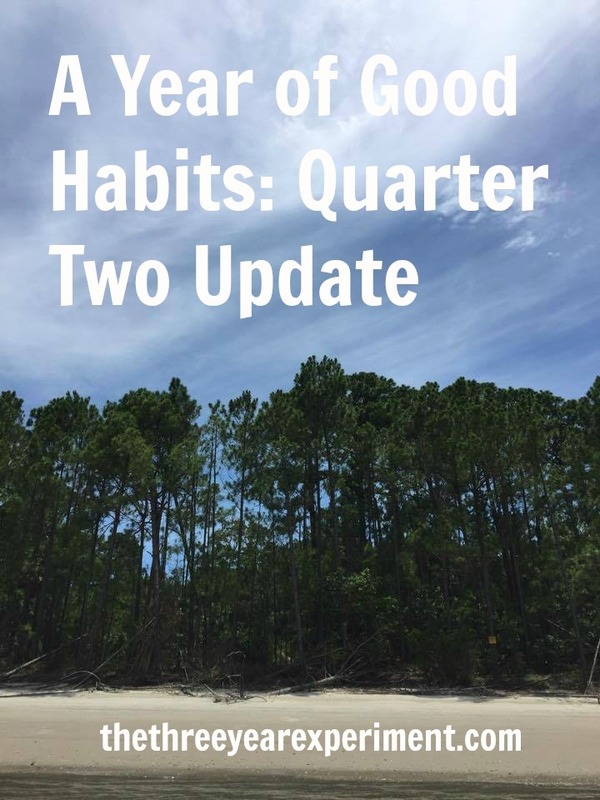 We’re calling this year, which is Year One of our family’s plan to reach location independence, the Year of Good Habits. Each month, I’ve focused on improving or developing one new habit. Sometimes the habits are directly related to personal finance and sometimes they’re related to general self-improvement. At the end of each month, I have been continuing the last month’s habit (or trying to) and adding a new habit in. (May I suggest, however, that you not try to adopt more than one or two per year? Twelve is a lot. This is more an experiment in extremes for our doubling-our-net-worth-in-three-years goal).